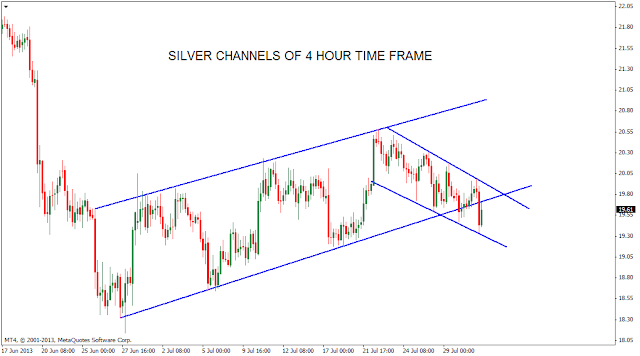 Silver unable to trade above 50 Day SMA. 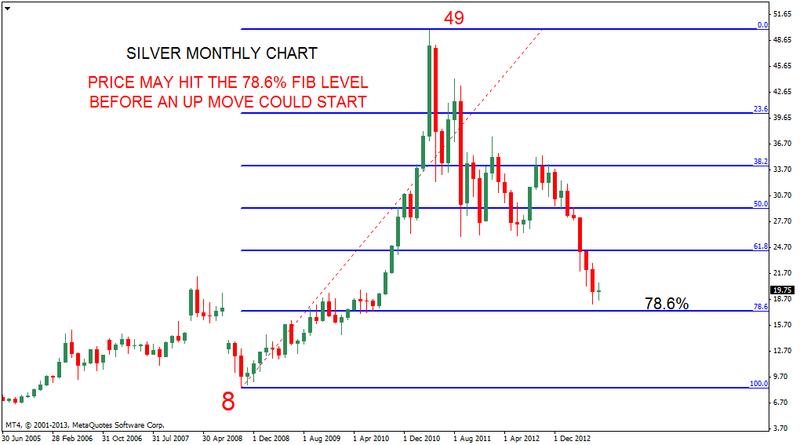 Monthly chart shows price yet to hit the 78.6% Fib level. Price may test this level before a bigger up move could start. 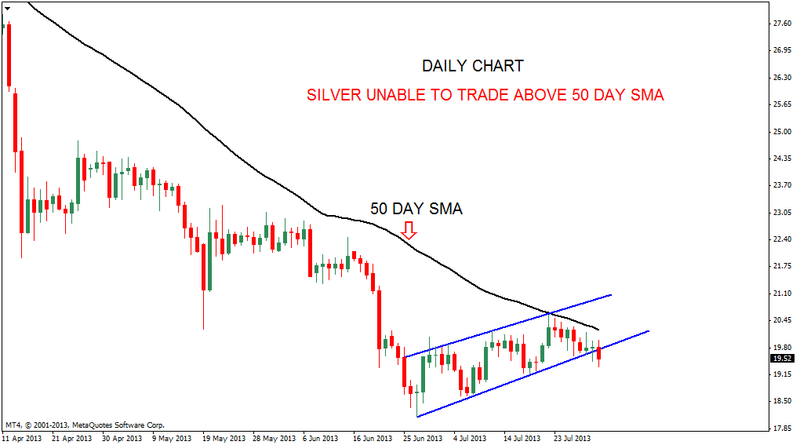 For bulls of silver need a close above 50 Day SMA for an up move to happen.